Whoo hoo! Stampin’ Up! has just introduced a NEW Storage option for us!!! And you’re going to LOVE it! Whether you have an entire room or a small corner in your home for stamping, your creative space should be tailored to you. 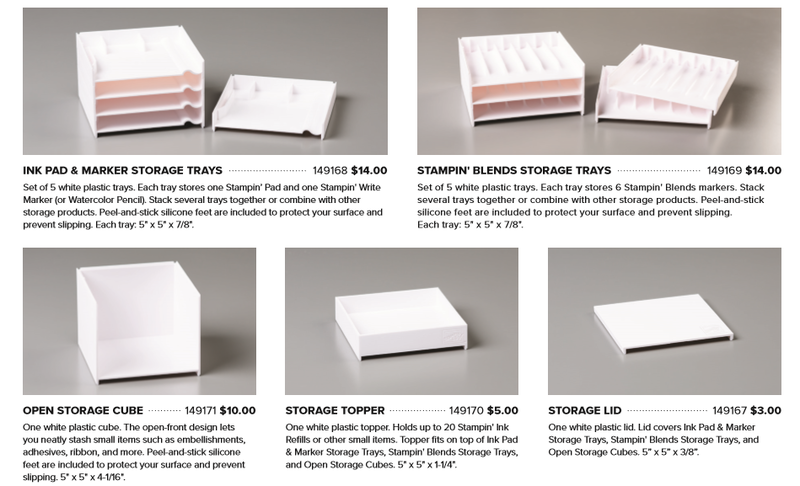 Stampin’ Up!s new product line, Storage by Stampin’ Up!, provides you with modular storage solutions that let you organize—and customize—your space your way! 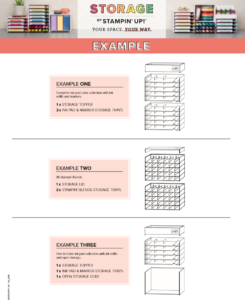 Keeps products organized, tidy, visible, and visable at all times. Will old design Stampin’ Pads fit in the Ink Pad & Marker Storage Tray? How do I know what pieces I need? 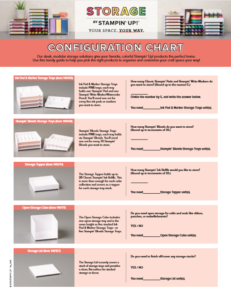 And how about a printable PDF work sheet that will help you determine what you need to hold your supplies? And configuration ideas. Inventory Disclaimer: Because Storage by Stampin’ Up! is a brand-new product line, our inventory levels for this initial launch are based on research of similar products and their existing demand. If our inventory of Storage by Stampin’ Up! products is depleted, we will turn items off until their inventories have been replenished. The good news is that our Storage by Stampin’ UP! will be in our 2019 Annual Catalog. This entry was posted in Announcements & New Products, Organizational Items and tagged Storage by Stampin' Up! by Stamp with Jini. Bookmark the permalink.